We are used to the idea that a dance work may take years to move from ideation to fruition, but it’s not often you find out that someone took 18 months or more just to build a stage. In the case of Ashley Dyer’s Tremor, however, the custom-built 8×8 metre platform is not simply a bespoke black box but a fundamental performative element. Ashley Dyer’s ‘Tremor’. Photo by Miklos Janek. In Tremor, the stage is both triggered by and the trigger of sound. This ingenious feedback loop creates an oscillating space of build-up and release, which is central to the show’s broader, more organic vision. If it all sounds a tad arcane, there is, according to its creator, a clear unifying thread. “I’m trying to say something about the link between the body and the planet and how it might be feeling pressure or disease and how it might heal or destroy itself,” he shares. 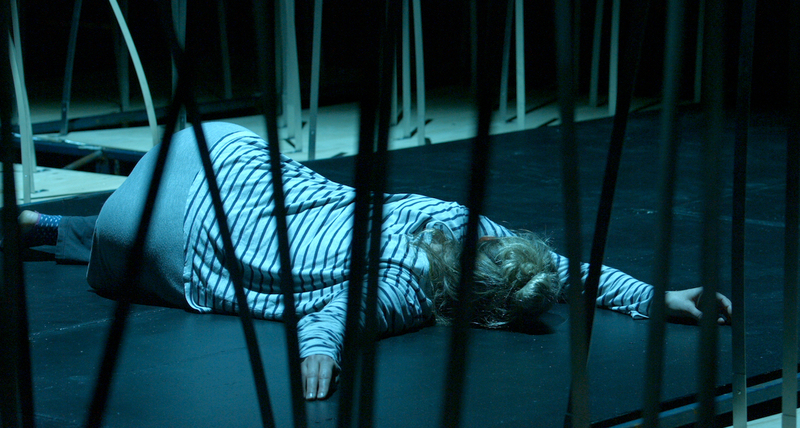 Tremor will run from November 16 – 20 at Arts House Melbourne. For tickets visit artshouse.com.au. Photo (top): Ashley Dyer’s ‘Tremor’. Photo by Miklos Janek.